Our first-ever benefit party in twelve years of A Public Space is happening at the Montauk Club in Brooklyn on December 6. Tickets are on sale now. Come celebrate with us. 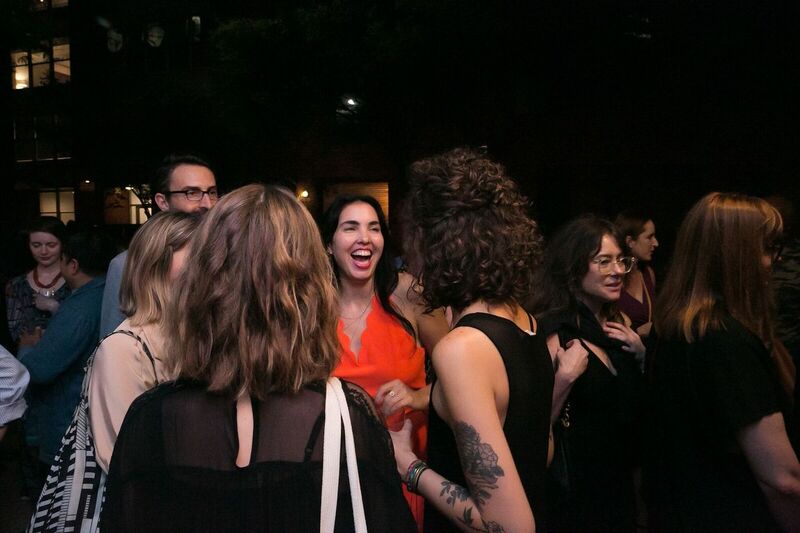 (Pictured: a recent party we hosted with the Windham-Campbell Prizes during the Brooklyn Book Festival. Photo: Beowulf Sheehan, who launches his new book, Author, at Greenlight Bookstore on October 11). And if you're curious about the historic venue, rarely open to the public, the Montauk Club is one of the locations participating in Open House New York this Sunday, October 14. This is the last week to apply for one of our 2019 Fellowships. APS contributor Nora Krug has a new graphic memoir, Belonging: A German Reckons With History and Home, reviewed by Parul Sehgal in this weekend's New York Times Book Review. Sehgal teaches a one-day master class here at A Public Space Academy on November 10, in which we will "Explore the writer-critic relationship from the critic’s point of view—and how you can use that insight to strengthen and hone your own writing." This week in Brooklyn, APS contributor John Wray launches his new novel, Godsend, at Books Are Magic, in conversation with Heidi Julavits. On November 5, we'll host a talk, open to all, with the Authors Guild, candidly exploring Rumaan Alam's novel, That Kind of Mother's, path to success–– featuring the novelist, plus his agent Julie Barer and editor Megan Lynch. Come learn with us, and buy the book from Stories Bookshop at the event. Free with RSVP. APS Editor Brigid Hughes was in Buffalo last week for the Lit Tap conference, and recommends the current exhibition "Giant Steps: Artists and the 1960s," on view at the Albright-Knox Gallery.